Soon after the Congress' decision to have Hooda as the head of its National Security Committee, Jaitley said he found it "intriguing". 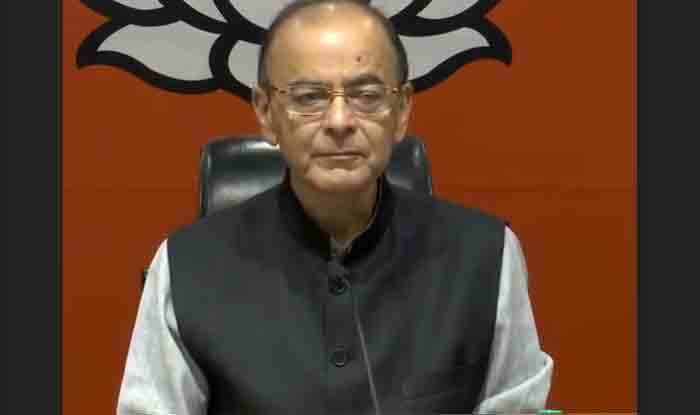 New Delhi: A few days after Lt General D S Hooda submitted his report to the Congress President, Union Finance Minister Arun Jaitley had a few questions on it. He has also questioned the very purpose of the committee and said it seemed the panel was “only for optics”. Hooda’s appointment as well had evoked a reaction from Jaitley. Soon after the Congress’ decision to have Hooda as the head of its National Security Committee, Jaitley said he found it “intriguing”. He had added that it meant the Congress, which had ruled the country for years, still needed lessons on national security. “I am sure the Head of the Advisory Panel would educate the party leaders that the surgical strikes were no routine step which had been taken several times in the past, but a significant first for India,” Jaitley had said. He also took a dig at the party, saying the appointment signalled a “belated and grudging recognition and acceptance” of the 2016 cross-border operation. In a blog post, Jaitley also referred to the 2008 Batla House encounter, the 2004 Ishrat Jahan case and the row over alleged anti-national slogans at the JNU to target the Congress in the blog post titled ”What it’s Advisor’s Must Tell the Congress Party on National Security”.